Aries, April 2019 brings you the opportunity to develop your talents in many different ways. You can employ great mediation skills in the first place. 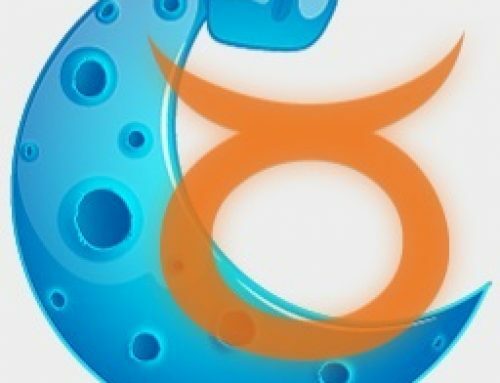 In other words, Aries will be able to talk about everything what others can’t do easily; or be able to find a compromise of the opposing parties. According to the horoscope, April is also a great time to buy and sell. Be sure that Aries will shine as an efficient businessman. Except the ability to be totally amused, the horoscope also highlights a rare ability to entertain others. As far as musical taste is concerned, Aries should prepare for a time full of melodies that will pump the blood in your veins (enjoying pop or rock hits, rather than a melancholic piano serenade). 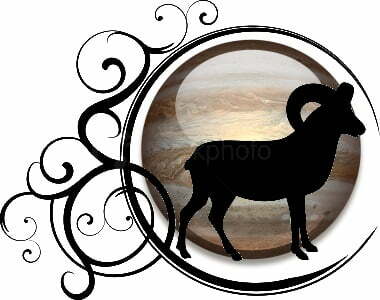 The horoscope also says that Aries may appreciate travelling, but people born in this zodiac sign will have to go deeper into their pockets as their demands increase significantly. Taurus, in April you should focus on proper everyday lunch. The horoscope suggests that your rhythm of life is not a bed of roses and you need to set some steady points. Let others enjoy the “beauty” of a heart attack or stomach ulcers. Taurus needs regularity. The April horoscope also recommends Taurus to try out some exotic fruits or spices and make your life richer with new dishes. But do not irritate the stomach too much. 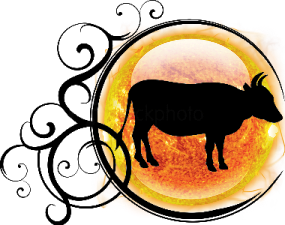 Taurus, this month you may enjoy the beauty of sharing. April is ideal for thinking about what you do not need only for yourself but what you can share with others. Sharing things or experiences is not only economic and environmentally friendly, but it often contributes to an inner blissful feeling as well. Last but not least, the horoscope says that love of Taurus will bloom like a spring flower. If you should discover the sweetest kiss ever, it will be during April. The April horoscope portrays Gemini as an inconspicuous but daring beetle. Yes, beetle! The common beetle is, by its very nature, not very communicative, suspicious and often undesirable creature. But that is an excellent expression of the situation that will April prepare for Gemini. You have to get used to the fact that not everyone gets excited when meeting you. But being a beetle has its indisputable benefits. Gemini can get to places that are hardly accessible to others. Horoscope also urges Gemini: let others go around in circles; stretch your wings and fly away quickly. Even aircrafts or helicopters are too clumsy in comparison to how you are able to maneuver. Cancer, it’s time to buy new underwear. It shouldn’t sound sexistic. Neither we suggest that you do not care about yourself enough. The horoscope simply shows that the seductive potential of Cancer reaches its peak in April, and then it may “rest” for a few months. This is the ideal time to propose your love or look for new acquaintances. In April Cancer should be less shy than before. Time goes by, and if you want to show how beautiful your body is, then do it now or never. Even a beautiful coat will multiply its attraction if you put it on. However, according to the horoscope, others will see that the most stunning moment is when you undress. Leo is not a cheap rag doll. Neither are you a sweet strawberry jam that others could easily take for breakfast. 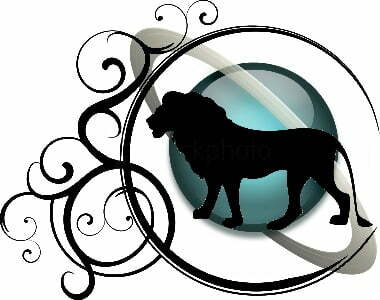 April horoscope gives the evidence that Leo is a very bold and convincing sign of the zodiac. You excel more than others. Stars have given you the ability to bring people into line. Especially in case when someone do not follow the rules. The fourth month of 2019 will support Leo’s creative talent and his / her true power, that is, the ability to enforce the will, even against the will of others. In other words, you may show that you are a real and complex personality. Virgo, money is definitely not everything, but as you know, they can make life incredibly pleasant! April is the month when Virgo will have to overcome fear and concern. In some cases you can’t manage things without the help of others. That’s bothering, however, the horoscope reminds you that you should consider the help of others as a natural part of your life, not as an evidence of defencelessness. April 2019 is also an ideal opportunity to plant new seeds, which can truly mean a conception of a new offspring or, at the same time (but more broadly), the support of new “trees” of new fruitful relationships; naturally accompanied with future prospects of love harvesting. 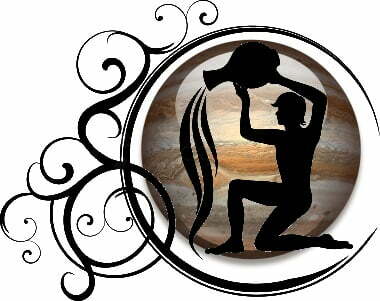 Virgo, plan, invent and organize new projects, games or surprises for those you love. Joint experiences are the seal of life. In April, according to horoscope, Libra will be more eloquent than ever. And if someone tells you that you talk too much, forget such trifling incident. There are more important things to do. In April the horoscope reveals your ability to find the key direction. 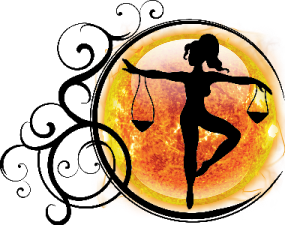 Libra will set out on a path decisive for the rest of the year. Whether the topic is love, work or household doesn’t matter at all. In fact, for your bright future it is not essential which toothbrush to choose, which new application to install on your mobile phone, or whether to polish your shoes every Monday. In April, people born in Libra will erect the pillars serving as the solid basis for the construction of a genuine skyscraper – that means the high ambitious 2019. 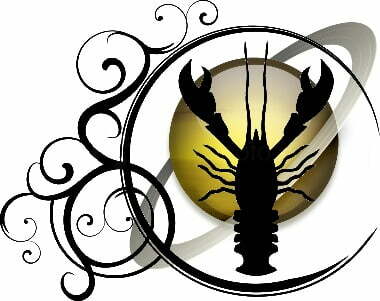 Horoscope heralds a period when Scorpio starts to think more deeply about how can you better deal with things and people. But also in the mirror way – how others treat you. You will probably realize that many people consider you for only a “crunchy pizza that one must eat still warm”. 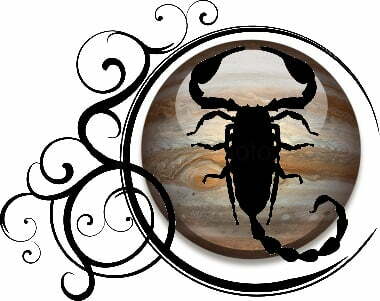 However, the horoscope urges Scorpio to ask yourself whether you too do not behave recklessly, at least sometimes. 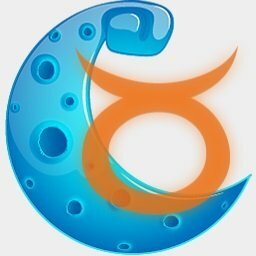 Another important advice: In April, Scorpio may see whether you control the computer and the smart phone, or whether all the electronics have already taken over your mind. Scorpio, maybe with genuine horror, you’ll find that you resemble a zombie who have to check the mobile phone display 28x times a day, or perhaps 280x times! In this case, the horoscope recommends squeezing one pint of real orange juice and then drinking it (instead of juice, you can also eat an apple if it’s easier for you) and immediately meditate about this question: why such activity is more natural than using any silicon microprocessor. April horoscope warns against cold. 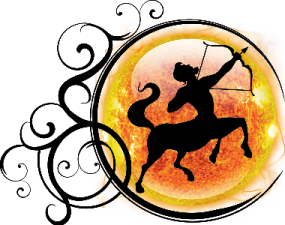 Sagittarius, however, the body is only a tool of the soul, thus take care of your health, but focus on your spirituality as well. Sagittarius, communication will be the most excellent skill of your sign. You may easily attract the attention of eager listeners. A bunch of funny words can be like a croissant crumbled in a park – a flock of sparrows will immediately cover this delicacy. In April Sagittarius will also be able to write or tell very demanding narratives, let’s say, like a pastry cook preparing a five-tier wedding cake. But your story may not be so sweet. It suffices to be stylish and stunning. Finally, the horoscope for the fourth month of 2019 encourages Sagittarius to watch his or her own face. You will be able to find answers to both pressing and urgent questions this way. The face of every human being is an imprint of his or her life, as well as the land is formed by the people who farm there. In April Capricorn should not think of rescuing the whole world. If you think and live ecologically (saving energy, sorting trash etc. ), it can easily happen that you forget about your own closest surroundings – the whole planet may overshadow all people around you. 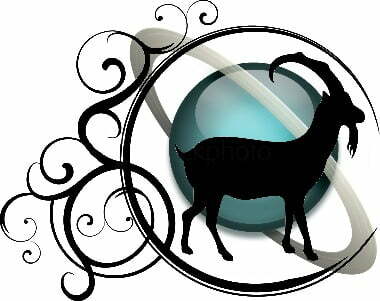 April horoscope says: Capricorn, focus on children, parents and marriage or partnership and look for hidden reserves here. You’ve done enough for the planet. But a lot of “hard work” is waiting for you in love and friendship. Kissing a loving person can be as beneficial as if you planted a new tree in the woods. We do not, of course, try to discourage you from doing such a meritorious deed, but we just advise to focus more on relationships and love this particular month. April will become a hammer by which Aquarius may crush bad habits into dust. Be careful, however, to strike precisely. Getting rid of bad habits and thus protecting health and money is certainly praiseworthy. But to break the relationship that is a bit boring may be like removing one of the pillars (the bridge and the relationship may crash without such support). The horoscope encourages Aquarius to reorganize. But please, act wisely. Thoughts will probably come as lightning from heaven. It’s time to buy, sell, trade, and not “lick the old wounds” and moan. April is shouting: forget the feeling of offence, humiliation or injustice. 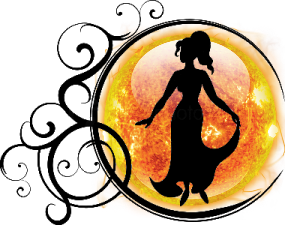 If Aquarius did something ugly, it is the best time to shake it down and look for the better future. Aquarius will be kissed by an art muse of love and happiness. Your reason offers a map and the heart shows the way. In April a warm and soft bed can give a feeling of bliss to all Pisces (just imagine the picture of fluffy clouds of heaven). If you do miss such excitement of staying in the Garden of Eden, then you may write the phrase “Slum Philippines” on YouTube search and see that you probably live on the best place on the globe. Hopefully we will not offend your faith. The horoscope tries to appeal to your modesty and sharp judgment. Maybe you have some loans due, maybe you didn’t study etiquette enough, maybe you could even name more sins than are fingers together on your both hands. 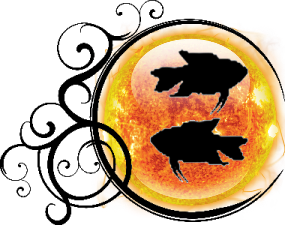 However, the April horoscope tells Pisces: Now is the time of forgiveness and reconciliation. Towards others but to yourself as well.